One of my favourite sights - Ramsgate Harbour. Yes, this was taken in December! 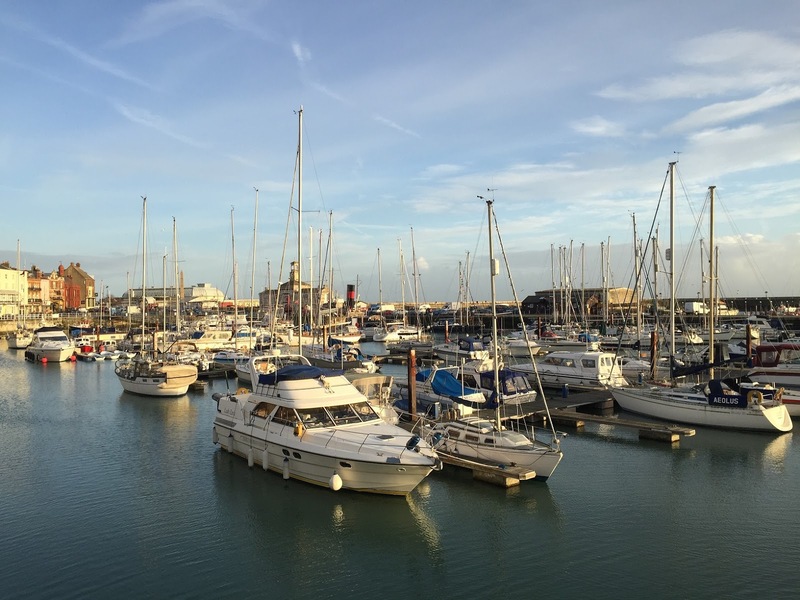 I have recently returned from a five-and-a-half week trip to Ramsgate, in the South-East of England, to spend Christmas with my family. Returning home is always an odd thing after so many years living elsewhere. On the one hand, it is and will always be home and I feel comfortable as soon as I am there. On the other hand, it has undergone changes during my absence and so a part of me feels like an outsider. 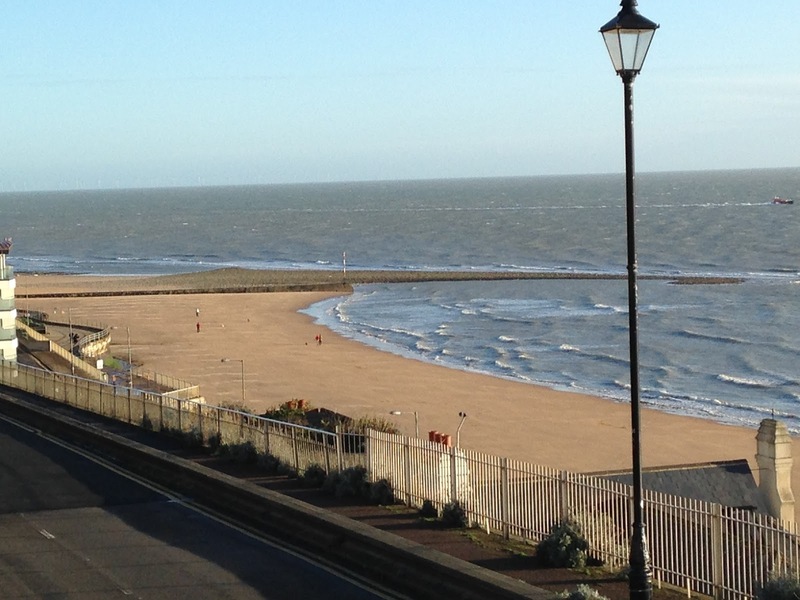 Ramsgate Beach, the morning of New Year's Eve. One of my favourite things about being back is the ability to walk... somewhere... anywhere! Living in Lexington, opportunities for walking are limited unless you first drive somewhere with a walking trail. I can walk in my small subdivision and then no further because there are no pavements to link us to the next subdivision, and so on. 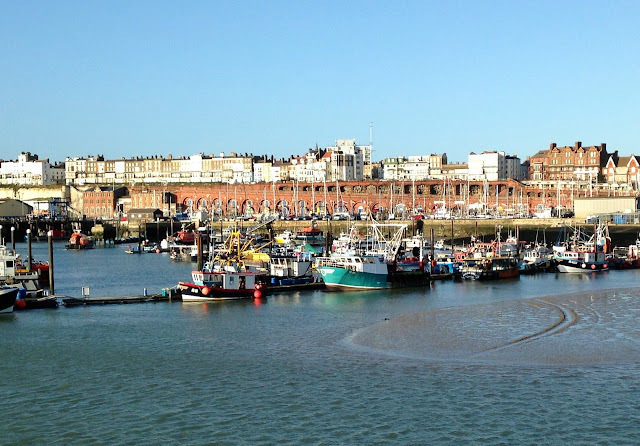 But in Ramsgate, every morning I could go on a long walk through old neighborhoods, ending up at either the East Cliff or the West Cliff, then winding my way down to the harbour and back up through the town. A three or four mile walk with a dose of refreshing sea air. Walking is just easier and more pleasant there. One of the windier days on the cliffs. 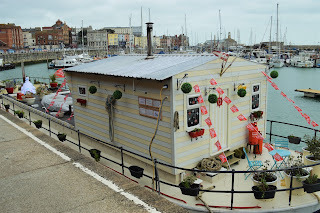 This time back in Ramsgate, I was pleasantly surprised to see that a lot of the old archway spaces alongside the harbour have been renovated and reopened into coffee shops, bars, and art galleries. In the summer, I expect it's a beautiful spot to sit and watch the boats come and go. This was also my first time home since the opening of the wartime tunnels and so, a few days after our arrival, Nic and I made our way along there before they closed for the Christmas season. Growing up in Ramsgate, I always knew about the labyrinth of tunnels that wound their way under the town and through the surrounding cliffs. Some - used by smugglers centuries ago -connected caves at Pegwell to long-forgotten outlets in Manston. 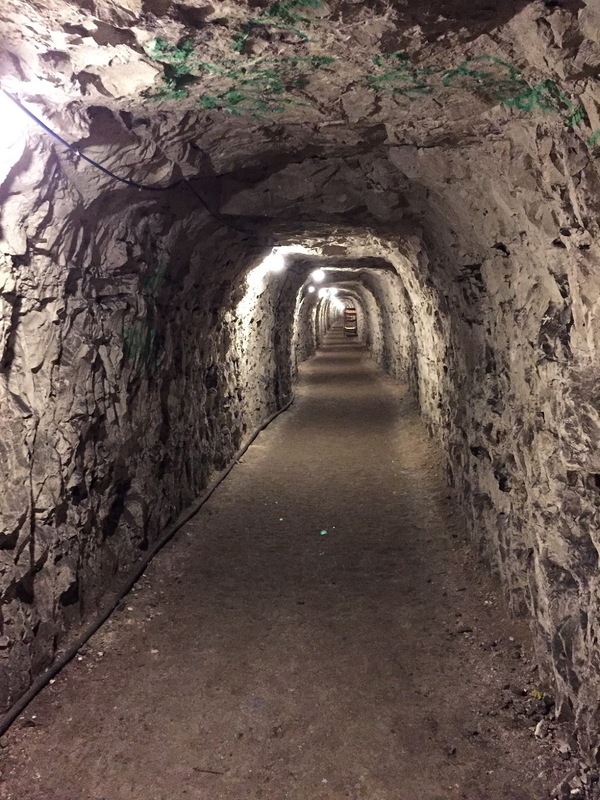 Others were more recent - former railway tunnels, and those used as shelters during World War II. With entrances scattered around town, some intrepid explorers made their way down from time to time to see what remained. The entrance shown in the photo was originally part of a railway tunnel, built in 1863 for the railway line that served to bring daytrippers down to the Ramsgate sands, dropping them off just feet from the beach. The railway line is now long gone, the main station having relocated to more than a mile away. 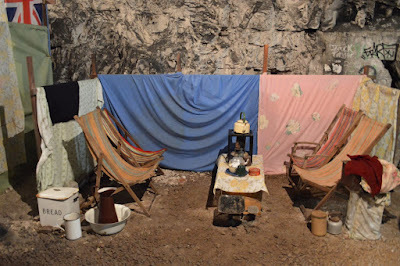 A replica of a typical family's living quarters in the tunnels. In the late 1930s, as it became clearer that Hitler's advances in Europe would lead to war, the town's mayor put in a request to the British government that a series of shelters and tunnels be built beneath the town. Ramsgate's position on the coast made it a clear target. Despite several refusals, the go-ahead was eventually given and construction began. Although originally intended to provide short-term shelter, the tunnels would end up becoming home for many families, displaced by repeated air raids or the bombing of their homes. For the last few decades, a group of dedicated locals have tried to get support for reopening parts of the tunnels as a museum. Finally, in 2014, the Ramsgate Tunnels opened. At present, a little over a mile of tunnels are open. It is hoped that more might eventually be cleared and made safe for visitors. 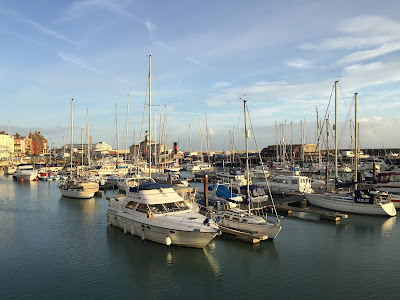 Sadly, despite the opening of the wartime military HQ under Dover Castle, the secret wartime Navy base under Ramsgate (HMS Fervent) is expected to remain off limits for the foreseeable future. 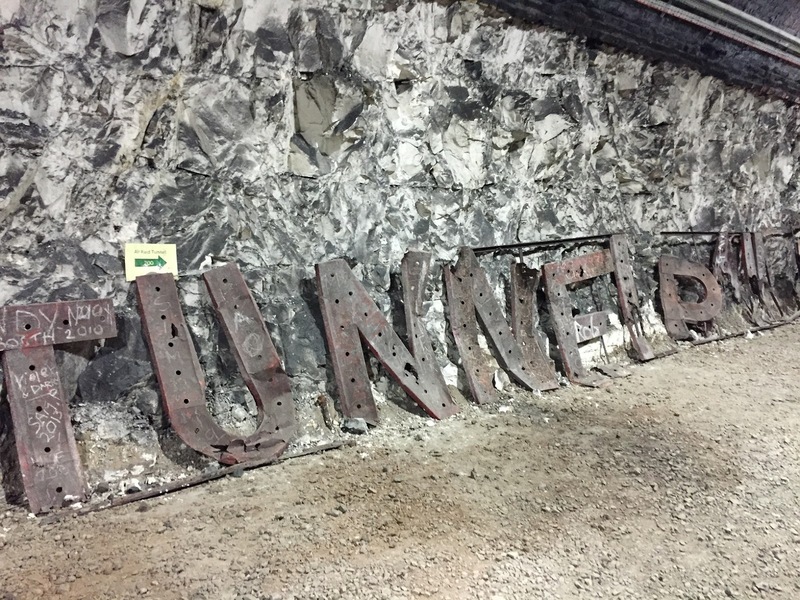 The original signage for the tunnel railway. The tunnels hold particular interest to me, not just because of their location in my hometown but also because of their connections with my dad's family. 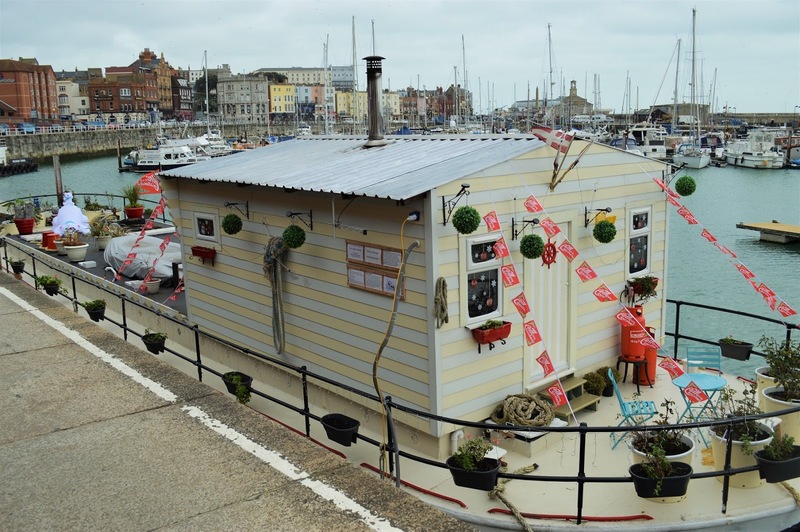 The museum features photos of his dad, who served in North Africa, and of other ancestors who were instrumental in the town's early lifeboat rescue service. Other family members operate the tea room, while another served as our tour guide. 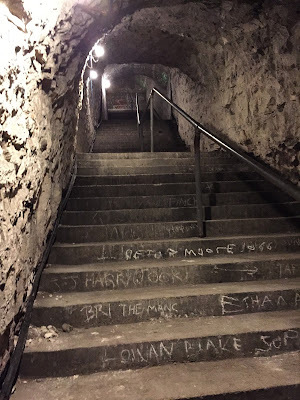 After watching a short video, we donned our hard hats to walk the tunnels, viewing some of the entrances, reading the graffiti left by past generations, and hearing stories of life underground during the war. After our tour, we walked home, taking the same route above ground that we had previously been taking below. 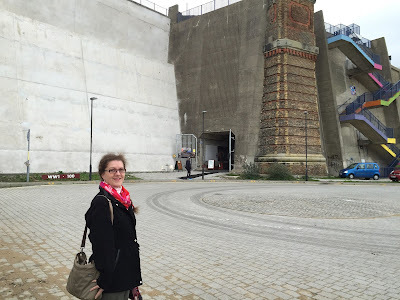 Even if you're not local to Ramsgate, I'd have to recommend a trip to the Ramsgate Tunnels. The tour guides are incredibly knowledgeable and it really is a fascinating look back in the country's wartime history. I love this story and find the tunnels fascinating. It's difficult to imagine people living down there, if only at night, or, all of the time if their home was bombed. It's such an interesting time in history that none of us should ever forget. Thanks for sharing Fiona!